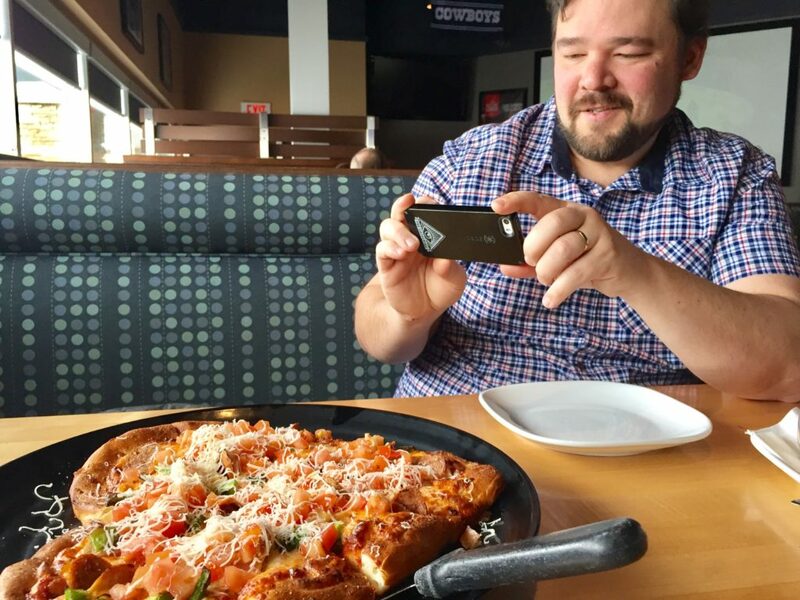 “I wake up every day unemployed,” Neil Zeller says as he shows me just the right angle of light to snap a picture of our heart shaped Boston Pizza. 4 years ago he left his job as an office furniture salesman to become a full time photographer. His first gig came when he traded 12 cases of beer with a local craft brewer for use of one of his images. “I knew nothing other than not to tell people I knew nothing,” he recalls. 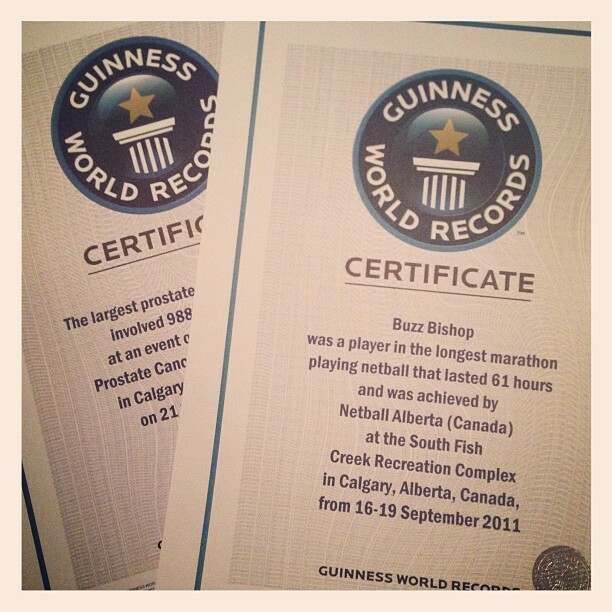 Today, Neil is an award winning photographer who is widely respected in Calgary not because he’s necessarily the best photographer in the city, but because he’s the most helpful, positive, and encouraging photographer in town (but, yes, he’s very talented too). Neil, to many (including me), is a mentor. “That’s tremendous,” he says when I tell him that’s how people think of him. “To be called a mentor is a great honor.” And then he immediately pays it forward talking about Paul Zizka, Dave Brosha, and Mike Drew. 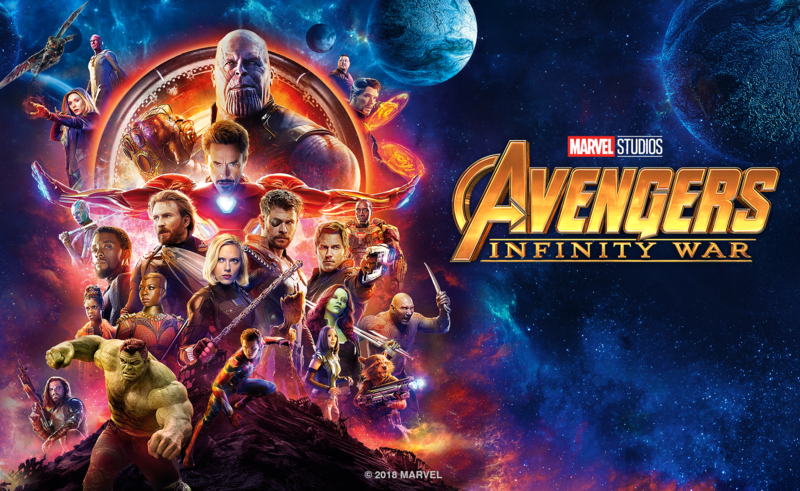 They taught him how to price his work, how to see the fine details in images, and even shared secret shooting angles and techniques for big events. “They shaped me into being giving,” he smiles. Zeller’s photography business is booming, and he continues to give back by creating community through photography classes and a workgroup he has created on Facebook. There, 500 amateur photographers share tips, ask advice, and help each other learn the art of photography. Neil wants it to be a safe place where people can show what they’re doing and get help, not just from him, but from others who have grown under him. That’s what mentors do. They pay it forward, they lift the tide to rise all boats, they make the world a better place by inspiring others to make the world a better place. Neil and I were talking mentorship over a heart shaped Boston Pizza to celebrate the work of the Boston Pizza Foundation Future Prospects. 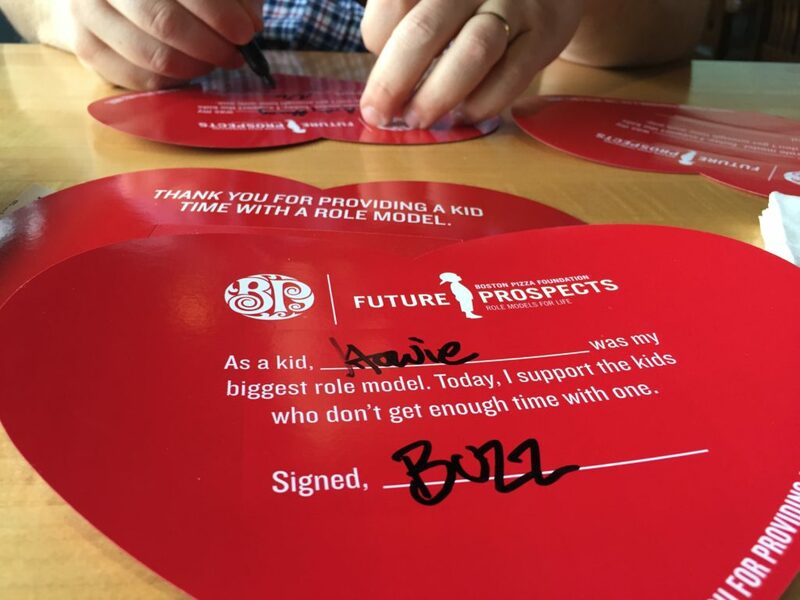 This year marks the 27th anniversary of Boston Pizza Foundation Future Prospects which raises funds and awareness for organizations that provide kids in Canada with role models and mentoring programs. Since its inception in 1990, the Boston Pizza Foundation has raised and donated more than $24 million to directly improve the health and well-being of children and families. Boston Pizza Foundation Future Prospects partners include: Big Brothers Big Sisters, Kids Help Phone, Live Different, JDRF and The Rick Hansen Foundation. 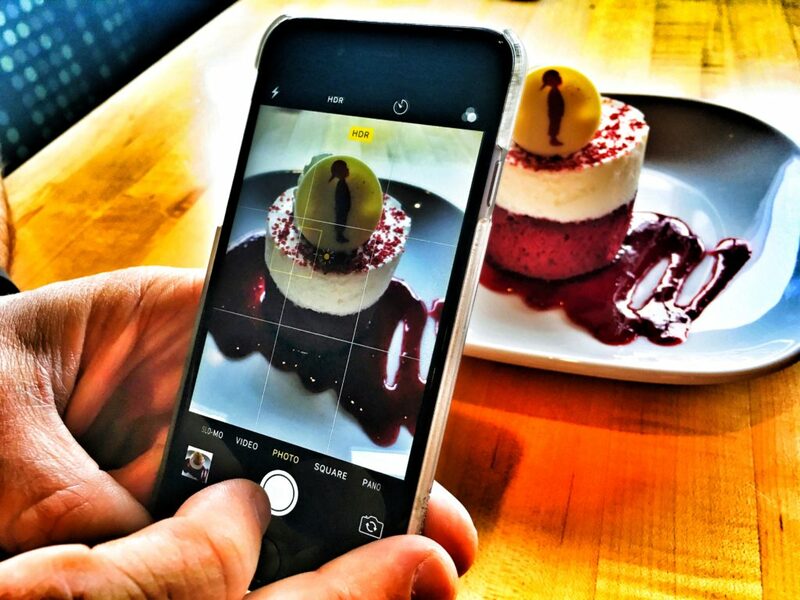 $1 for every heart shaped pizza sold at Boston Pizza on Valentine’s Day supports Boston Pizza Foundation Future Prospects, as does a $1 from every Future Prospects dessert (an omnomnom red velvet cake). Having a mentor help blaze your path is crucial to success. I’m grateful to have Neil Zeller help me as learn as an amateur photographer, children with challenges have deeper leadership needs and the Boston Pizza Foundation helps them make those connections. On February 14th, Canadians can show their love by purchasing a heart-shaped pizza from Boston Pizza for Valentine’s Day. One dollar ($1) from every pizza sold, including heart-shaped pizzas, and Future Prospects dessert sold on February 14 will go to support Boston Pizza Foundation Future Prospects, which is committed to connecting kids with role models in their communities to ensure they have a bright future. 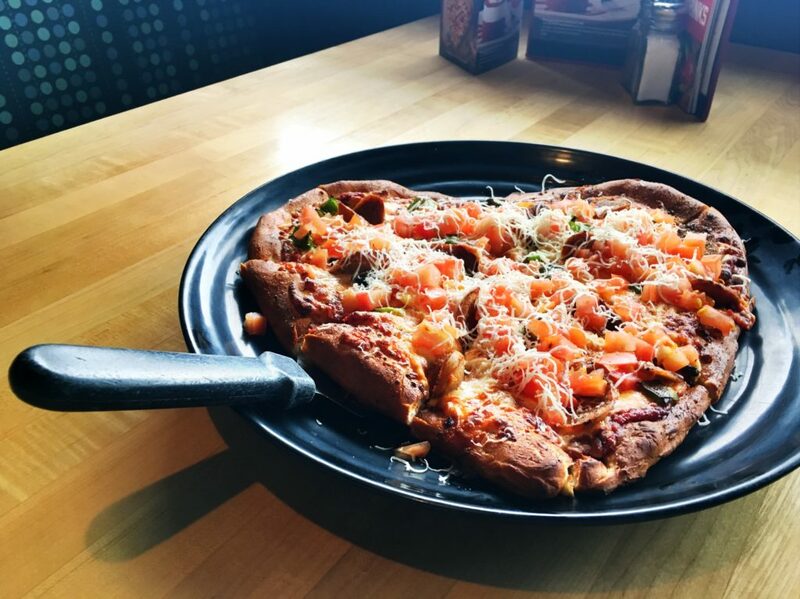 Though heart-shaped pizzas are only available once a year on Valentine’s Day, now until February 14, guests can also purchase a Boston Pizza Paper Heart. Every $2 Paper Heart purchase receives a $5 off $25 coupon as a thank you for supporting the foundation.